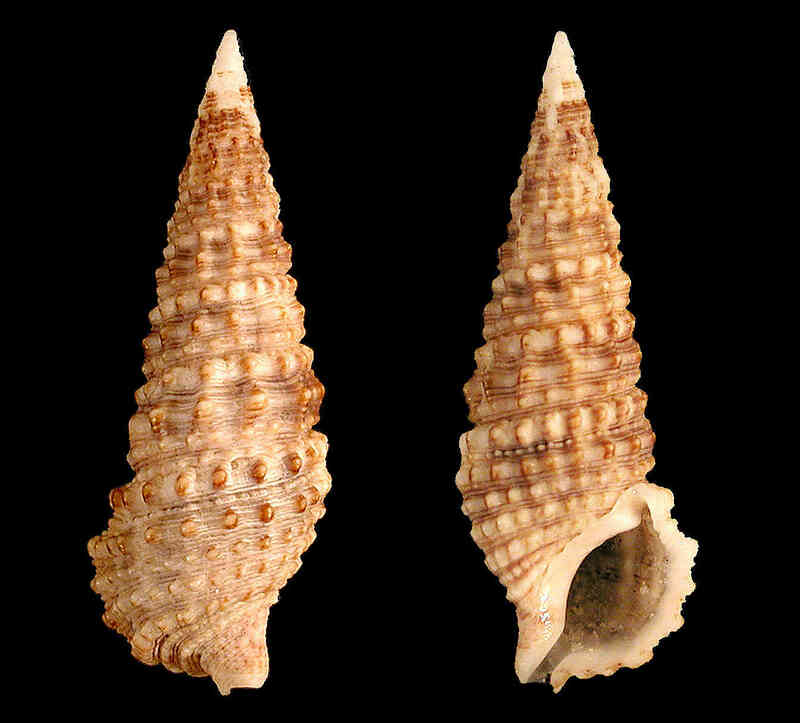 Shell size to 40 mm; shell similar to C. eburneum. Sculpture of spiral cords with numerous beads. Spiral cords separated by smaller spiral lines. Color white to gray covered with an irregular brown mottlings or specklings. Very common in shallow water.